Secure your ticket: Saturday 12th January 1-6PM! We have a very special event for you, also open to non-Toastmasters: Communicate with Comedy. 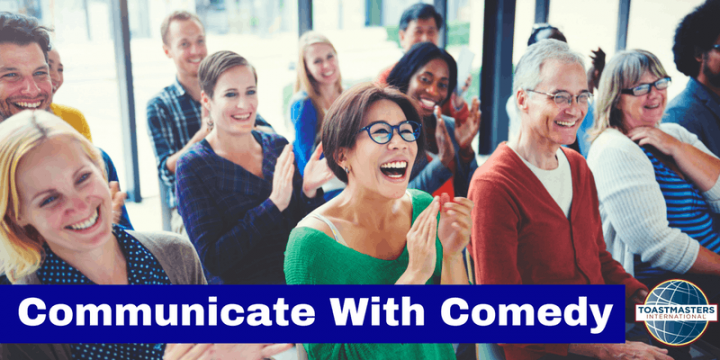 Join us for an entertaining afternoon and learn how to hone your communication skills and inject humour into your presentations. The trainer Mel Kelly is an award-winning speaker and the founder of 3 comedy clubs in Munich. Mel will show you how to bring tools and techniques from the comedy world to sharpen up your communication skills. Learn how to connect, be more confident and convincing with tips and techniques from the world of stand-up. The trainining is in English. Hot and cold drinks during the breaks are included in the price of 37€. Members of Toastmasters International and Students pay only 17€. Please enter the code “Toastmasters” when booking. The workshop is limited to 20 participants. Find out more details and buy your tickets via EventBrite by pressing the button below. Bamberg Toastmasters belongs to Toastmasters International, a non-profit educational organiszation that teaches public speaking and leadership skills through a worldwide network of clubs. @2019 Bamberg Toastmasters. All rights reserved. Receive an invitation to our next meeting!